This is an unofficial news sources for the Iron man sequel, Iron man 2 with a projected US release date of May 7th, 2010. It is expected that Jon Favreau shall return to direct, with Robert Downey Jr. reprising the role of Tony Stark. 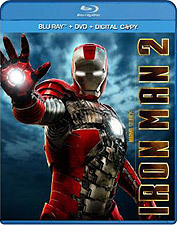 The bil­lion­aire Super Hero in the iron suit is back in Mar­vel Stu­dios’ and Para­mount Pic­tures’ thrilling sen­sa­tion IRON MAN 2, debut­ing on Blu-ray, DVD, and dig­i­tal down­load Sep­tem­ber 28, 2010. Packed with fan­tas­tic bat­tles, stun­ning visual effects and an all-star cast, the new block­buster adven­ture will be avail­able to own as a three-disc Blu-ray/DVD combo pack with dig­i­tal copy, as a lim­ited edi­tion two-disc DVD with dig­i­tal copy, or as a sin­gle disc DVD. In this highly-anticipated sequel, Robert Downey Jr. (Sher­lock Holmes, Tropic Thun­der) reprises his role as Tony Stark, a.k.a. 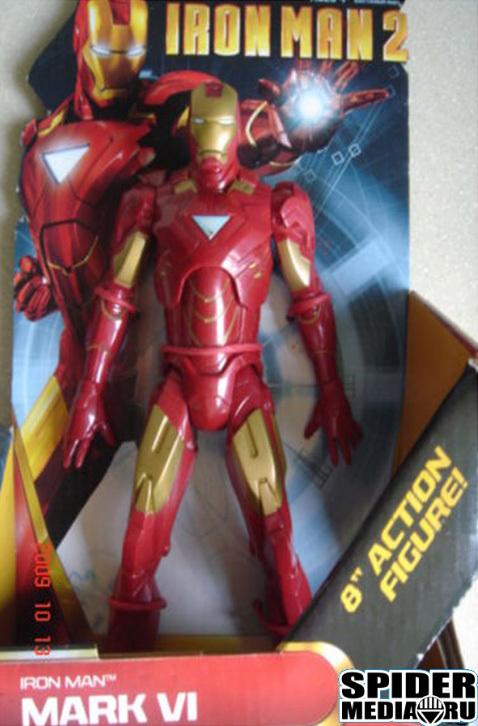 Iron Man, in a thrill-a-minute story filled with explo­sive action, new suits and pow­er­ful new vil­lains. The phe­nom­e­nal cast includes Gwyneth Pal­trow (Iron Man), Don Chea­dle (Oceans series), Scar­lett Johans­son (He’s Just Not That Into You) as the seduc­tive Black Widow, Mickey Rourke (The Wrestler) as the venge­ful Whiplash, as well as Sam Rock­well (Charlie’s Angels) and Samuel L. Jack­son (The Other Guys). 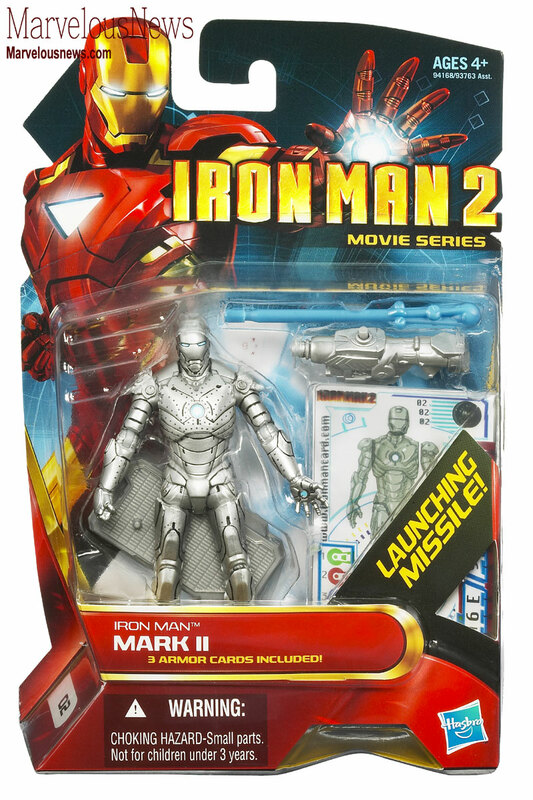 To date, with over $300 mil­lion at the domes­tic box office, IRON MAN 2 has delighted audi­ences with its com­bi­na­tion of high-intensity action, intel­li­gence and humor. The Blu-ray/DVD combo pack comes fully loaded with immer­sive and inter­ac­tive bonus mate­ri­als includ­ing an in-depth, feature-length doc­u­men­tary of the mak­ing of the film, reveal­ing fea­turettes about Nick Fury, Black Widow and War Machine, a look inside the cre­ation of Stark Expo, deleted scenes and an exclu­sive peek inside the Mar­vel Super Hero Uni­verse through the S.H.I.E.L.D. Data Vault. * S.H.I.E.L.D. Data Vault (HD)— Extend your knowl­edge of the Mar­vel Cin­e­matic Uni­verse with high-level clear­ance into S.H.I.E.L.D.‘s dig­i­tal data vault. Inter­act with select scenes from the movie that include new lay­ers of graph­ics and insider infor­ma­tion. View case files, dossiers, S.H.I.E.L.D. train­ing films, tech details and more. o Rebuild­ing the Suit—An all-encompassing look at the begin­ning stages of this mam­moth block­buster. 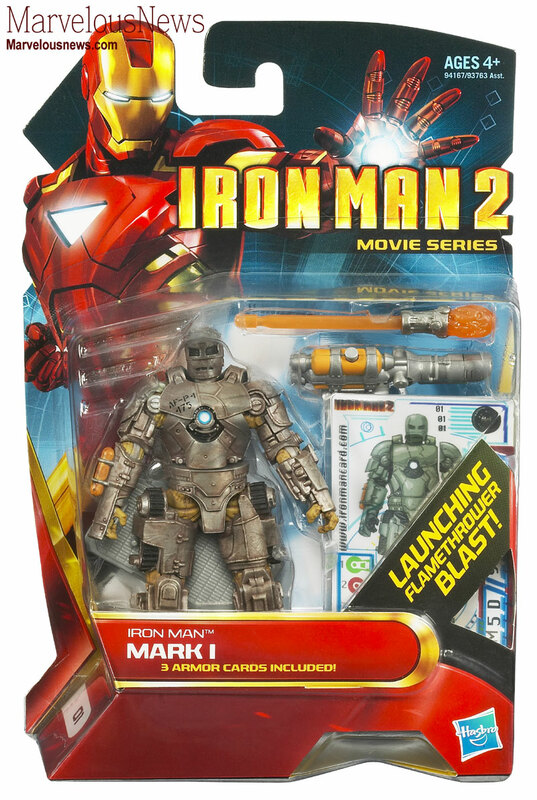 o A Return to Action—From Mar­vel Stu­dios to the streets of Monaco, Jon Favreau takes view­ers through the tri­als and tri­umphs of con­tin­u­ing Iron Man’s story. o Expand­ing the Universe—From the amaz­ing sets of Stark Expo to Tony Stark’s home and beyond, the Mar­vel Uni­verse con­tin­ues to unfold into new and excit­ing places. o Build­ing a Legacy—From film­ing to edit­ing, scor­ing and visual effects, Favreau and his team face the chal­lenges of bring­ing the sequel to the big screen. o Cre­at­ing Stark Expo—A look at how the sets and computer-generated ele­ments com­bine to cre­ate the mas­sive set piece. o Prac­ti­cal Meets Digital—How the “prac­ti­cal” props inform the “dig­i­tal” work that ulti­mately brings our hero to life on screen. o Illus­trated Ori­gin: Nick Fury—A com­pre­hen­sive jour­ney into cre­at­ing one of the most mys­te­ri­ous and influ­en­tial heroes in the Mar­vel Uni­verse. o Illus­trated Ori­gin: Black Widow—An excit­ing look at the new femme fatale intro­duced in Iron Man 2.
o Illus­trated Ori­gin: War Machine—A look at the intro­duc­tion of the char­ac­ter and how his friend­ship with Tony Stark res­onates with fans. o Work­ing with DJ AM—Jon Favreau remem­bers work­ing with Adam Gold­stein. The single-disc DVD includes the fea­ture film with com­men­tary by Jon Favreau. An early Christ­mas present for us! 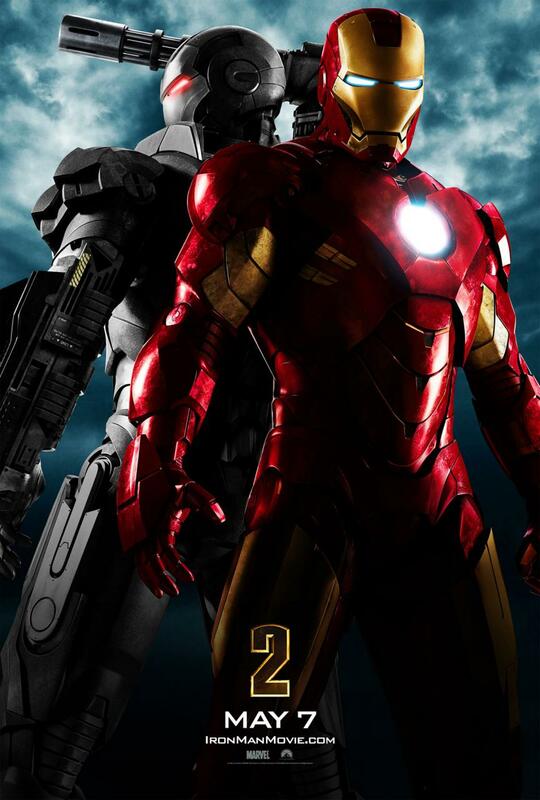 Apple has the exclu­sive Iron Man 2 trailer reveal, in full 1080p high def­i­n­i­tion. Iron Man 2 trailer at Apple. Screen­shots and analy­sis com­ing soon! We’ve got our first big Iron Man 2 tease as an early Christ­mas present. 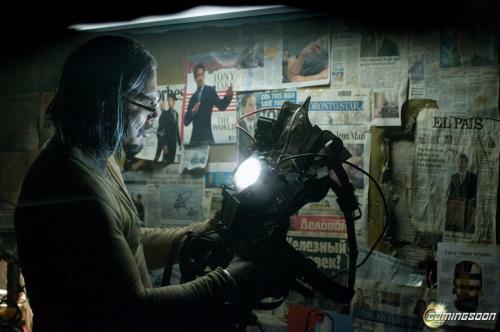 A high res­o­lu­tion Iron Man 2 poster fea­tur­ing War Machine with right shoul­der mounted gun. As teaser posters go, this one’s pretty awesome. 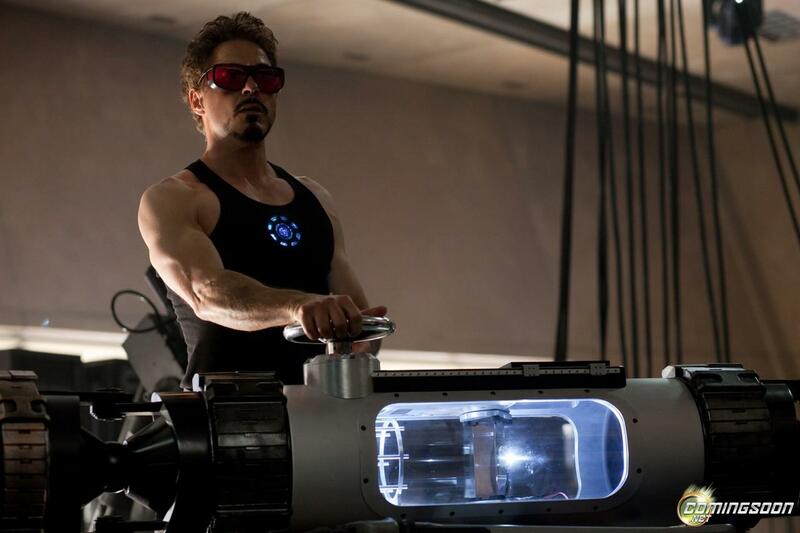 We’ve also got a host of new screen­shots fea­tur­ing Tony Stark, Whiplash and Scar­lett Johans­son as the Black Widow. As always, click on the images for their larger versions. New toy pack­ag­ing and Iron Man 2 fig­ures have appeared online, the most excit­ing of these is a ‘Mark VI’ armor, seen below. Pic­tures come via Mar­velous News. French TV sta­tion Canal have posted an extended 7 minute behind the scenes look at Iron Man 2. The video starts off in French but the inter­view with direc­tor Jon Favreau is in Eng­lish; you’ll here him talk about Stark’s home made par­ti­cle accel­er­a­tor. There’s also an inter­view with Robert Downey Jr., talk­ing about the chal­lenges of film­ing a sequel. An insight­ful look at the Iron Man sequel and def­i­nitely worth the watch. From the bumpy golf buggy, Jon Favreau shared some Avengers infor­ma­tion with MTV. First up, he will not be direct­ing The Avengers movie. 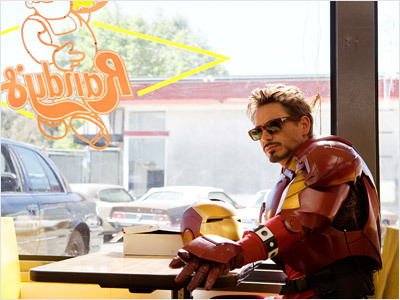 Sec­ondly, Ed Nor­ton will not have a cameo appear­ance in Iron Man 2. This opens up the ques­tion, who should direct the Avengers movie?